HCL Global Company Information Is this your company? Add your own content to this page. 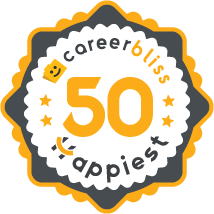 We've calculated that the average salary at HCL Global is $71K based on 335 user-submitted salaries A total of 69 HCL Global employees gave HCL Global an average happiness rating of 3.9 out of 5.0. 14 Software Engineers from HCL Global submitted salaries. 3.6 Being in the first group interns at HCL, there were definitely some ups and down with getting started. However, toward the end of the internship, things started to look better and more organized. It was definitely a good experience and enjoyable place to have my internship at. 4.1 Good company, with low focus on the employee, if you do your job you get recognition but economic growth is another thing entirely.The company has a large network of helpful individuals and nice information sharing systems, however the bonus schemes are the worst I had so far having to be an overachiever to attain 100% bonus and on top of that they have limited budget for that so its not really performance bonus but assigned by the managers to their favorite resources. 2.9 I have worked for Boeing Account for 8 years and it was hard for moving existing projects to Agile. Because of customers availability is critical and changing mindsets is difficult. There are some projects where we need to work on Agile method but we don't get to collaborate.